Hagerstown Sports Club & Fitness has launched a new mobile responsive website, www.hagerstownsportsclubfitness.com! What does mobile responsive mean? Responsive design provides an optimal viewing experience—easy reading and navigation with a minimum of resizing, panning, and scrolling—across a wide range of devices (from mobile phones to desktop computer monitors)…Thanks DatAchieve Digital! Our new site you can find information & details about our services, our staff, and classes as well as a newsletter sign-up to keep up to date with our blog. We hope that you will find the Hagerstown Sports Club & Fitness site to be a useful tool and that you will visit often. 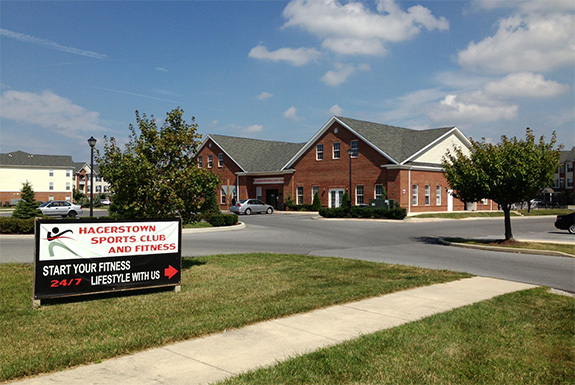 Hagerstown Sports Club & Fitness is a 24-hour access gym. Our members can come during a time that best fits their schedule. For questions regarding membership please visit us during staffed hours. Please enter your email address below to receive upcoming news and updates from Hagerstown Sports Club & Fitness straight to your inbox.